this can only mean one thing: time to break out the alcohol. a friend left me half a bottle of grey goose, and i have 2 litres of 7up. here are some songs i will be listening to this evening into early morning. i can only listen to connor when im loaded... and then he's sublime. welcome to the mix. anything coming from something anton created is good. remember this fact. there's nothing better in this world than sneering through the alcohol and slurring 'just you shut your mouth.' nothing. i think the title says it all. lovelust. just something about early 80's moog sound that i cant get enough of..
12 Seu Jorge : Life On Mars? i just like getting drunk to his music. simple as that. Heck yes! Seu Jorge does a great job, and that's my all time favorite movie. I want to try this mix out. 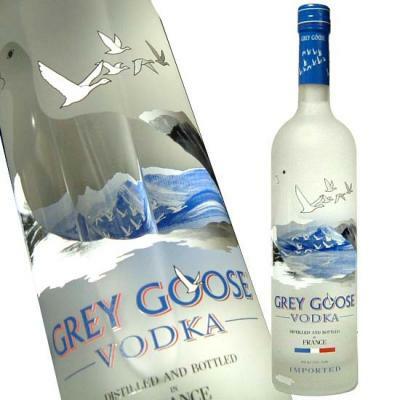 Only thing is, I don't know where to get any-- Grey Goose. But it looks so damn pure. A little conor at the beginning of any mix makes me happy. New Dntel will not disappoint. I promise. Oh Oh Oh, bowie in portugese?? Is that from The Life Aquatic? Yeahh?? Nice. I like you. nice. this, coming from another individual who spent a night revelling in booze and music with some crazy people. great mix. great, great, great!